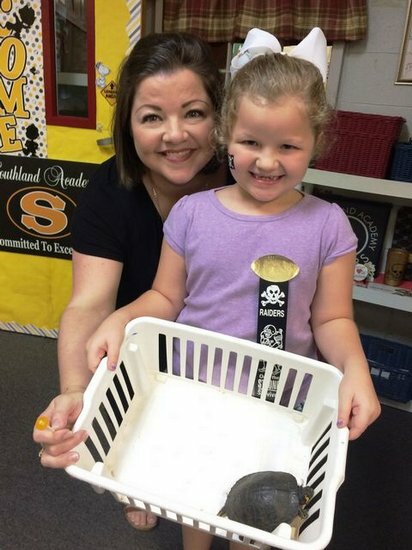 Laura Beth Dixon and her mother recently brought a special visitor to the Southland Academy First Graders. The turtle which has been affectionately named Tommy arrived on the very day that the children in Mrs. Peggy Roquemore's class were studying the sound of the letter T and reading a story about a brave tortoise. Tommy toured some of the other lower school classes and now temporarily resides in the Science Lab.